A happy thanksgiving from Canada, to all my family and friends all over the world. We started the day with some lovely homemade scones, jam and cream (sorry England family) and are now busy preparing the turkey and all the trimmings ready for the rest of the guests. 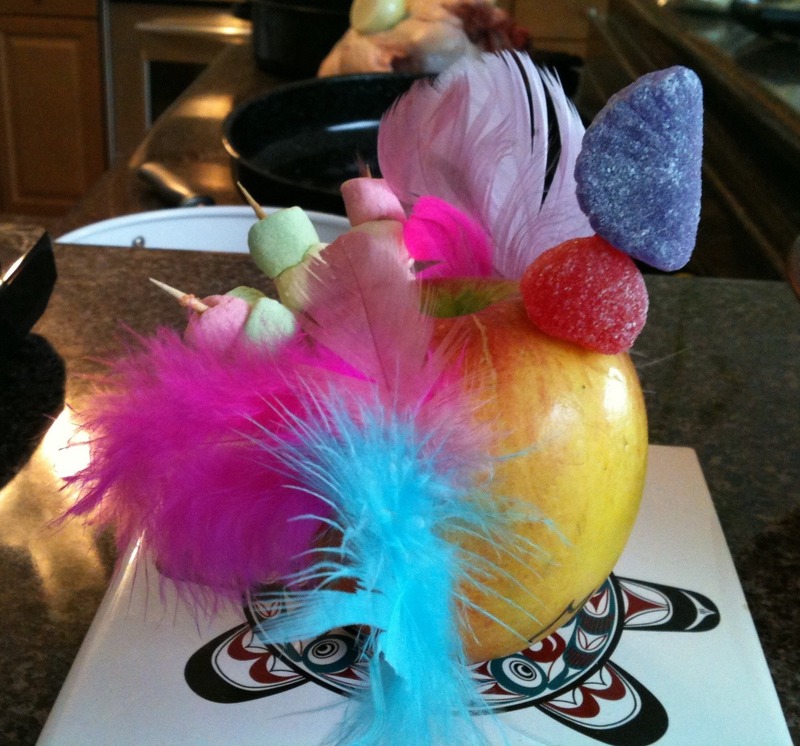 Our niece made a special table centrepiece at school….